Here is a great tract for hunting and recreation, getaway, or maybe even a new home. All wooded tract with over 500 feet of state road frontage. You will enjoy a quiet walk through this tall timber in open woods. There is lots of deer & turkey sign throughout. Being surrounded by other timber tracts and croplands creates good habitat for wildlife. This tract boasts an assortment of trees but most obvious are the mature pines and hardwoods towering over the forest floor throughout most of this property. This is a great tract for family & friends to come enjoy some country time. Camp, hunt, 4 wheel, hike all can be done on this one. Located in Northern Accomack just off of Rte. 13 this property is just a minute from the main highway. The driveway pipe is already installed and electric service is available at the road. With the tall merchantable timber as well as being priced below the county assessment, this property should make a great investment. This is one to consider, but don't wait too long. The Eastern Shore of Virginia was known as Accomac Shire, until it was renamed Northampton County in 1642. The present Accomack County was created from Northampton County in 1663. Members of an English voyage of exploration landed in the area in 1603, four years before the founding of the Jamestown Colony. Captain John Smith visited the region in 1608. The county and the original shire were named for the Accawmack Indians, who resided in the area when the English first explored it in 1603. The Accawmacke nation at the time numbered around 2000, and were governed by Debedeavon, a paramount chief called by the English the Laughing King. He became a staunch ally of the English newcomers, granting them several large areas for their own use. Accomac Shire was established in 1634 as one of the eight original shires of Virginia. The name comes from the native word Accawmack, which meant on the other side. 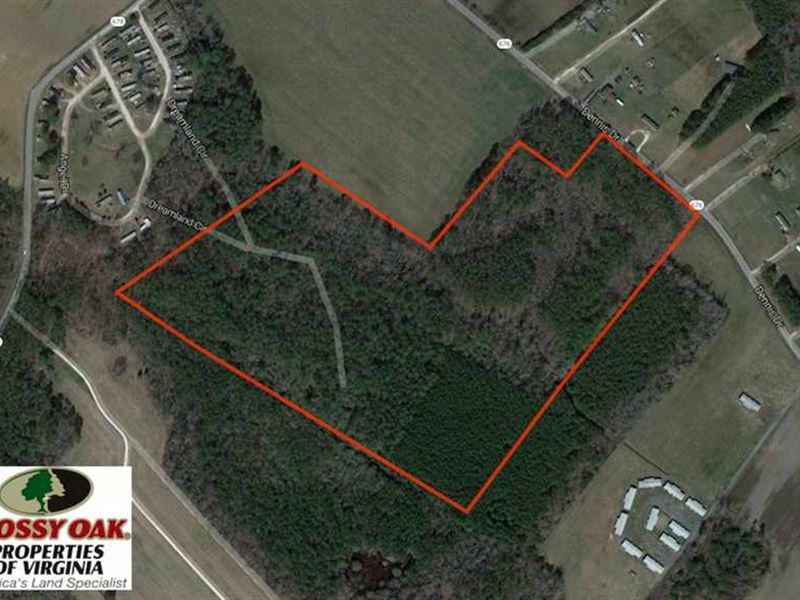 For more information on this and other Hunting Land For Sale in Accomack County VA, contact at , email Email listed above, or visit mopva/. com.